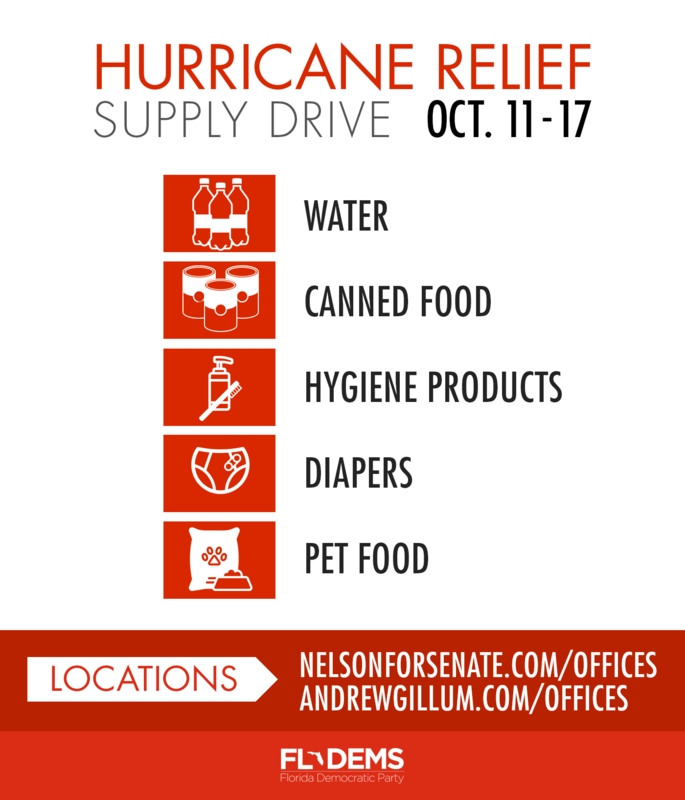 The Florida Democratic Party has announced its campaign field offices are collecting donations of relief supplies in the aftermath of Hurricane Michael. FDP is encouraging its volunteers and supporters across the state to help their neighbors in the Panhandle who are having to rebuild after the devastating hurricane. Next week, the Florida Democrats plans to host a Day of Service to drop off supplies to those affected by the storm. "It will take months for our neighbors in North Florida to recover from the devastation of Hurricane Michael and helping them is a top priority for us right now," said Florida Democratic Party Chair Terrie Rizzo. "We will use the collective power of our volunteer network to help our state begin to heal and rebuild. We encourage our supporters to join us in the effort however they are able." Volunteers can find a local FDP donation center here and here. Volunteers can donate to the relief efforts here.